So yeah, the B-Team. I hate to say it, but I’m kinda over them already. Maybe if they’d drawn out the title chase a more, and built up to a switch here, I’d still be rooting for them. But it feels like their big underdog arc has come to its end, and there’s nothing left for them to do but lose the belts. The Revival have gotten a raw deal since showing up on the main roster. To be fair, that’s not entirely anyone’s fault. They’ve been plagued by injuries. But they’ve been able to stay healthy for a little while. So I say we try them with the titles. Let’s try to return them at least a fraction of the credibility they had in NXT. While I like Harper and Rowan as champs, the tag team scene on Smackdown desperately needs a shake-up. I’m sure the New Day will give us a good match. But we need new challengers. 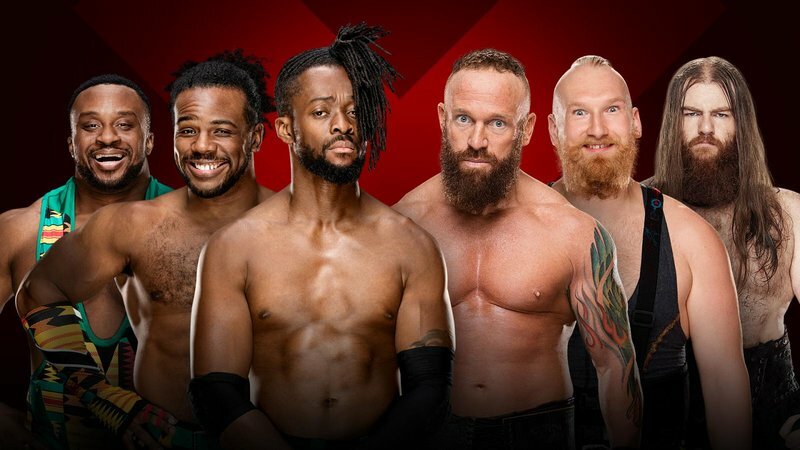 Heck, I’d have put the Bar, or even Rusev and Aiden English in this match before going back to the well with the New Day. I don’t see a good reason to take the belts off Harper and Rowan right now. They aren’t the problem. Rather, it’s a lack of compelling opponents. It seemed fairly obvious that Randy Orton was getting added to this match. But they’ve mysteriously kept him off the card entirely. I assume he’ll be doing a run-in to cost Jeff the match. If he’s left off the show entirely, we might assume it’s because WWE is indeed “looking into” recent allegations against him. 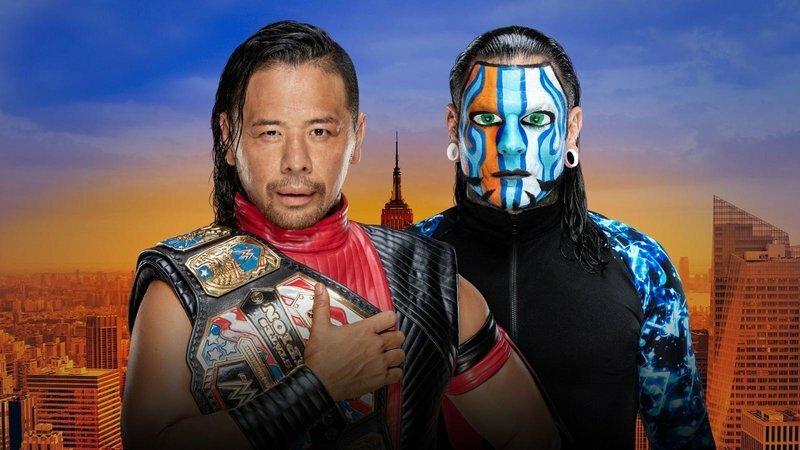 Putting the title on Nakamura at Extreme Rules was the right move, and they need to stay the course in this match by keeping the belt on him. There’s been some buzz lately about Nakamura potentially going back to Japan when his contract expires. At this point, I can’t say I’d blame him. His main roster run has been checkered at best. This one is a little bit like the Kevin Owens vs. Brain Strowman match. These guys main-evented Extreme Rules with an Iron Man Match, but now they’re just in a regular match? The presence of Drew McIntyre and Dean Ambrose notwithstanding, that seems like a downgrade. Ah yes, Dean Ambrose. He’s back, and that’s a reason to celebrate. I’m sure another Shield reunion is coming. Survivor Series seems to be a likely place for it. But I’m ready for a Dean Ambrose heel turn sooner rather than later. And who better to put him against than Rollins, with the Intercontinental Title on the line? Ergo, Rollins gets the win and the title here. This entry was posted in Wrestling and tagged B-Team (WWE), Big E., Bo Dallas, Curtis Axel, Dash Wilder, Dean Ambrose, Dolph Ziggler, Drew McIntyre, Erick Rowan, Jeff Hardy, Kofi Kingston, Luke Harper, pro wrestling, professional wrestling, Randy Orton, Rob Siebert, Scott Dawson, Seth Rollins, Shinsuke Nakamura, The New Day, The Revival, WWE, WWE Extreme Rules 2018, WWE Monday Night Raw, WWE Raw, WWE Smackdown, WWE Smackdown Live, Xavier Woods on 08/16/2018 by primaryignition. 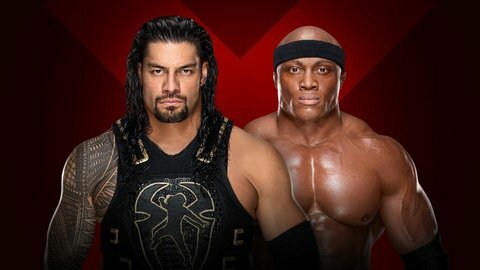 WWE Extreme Rules 2018 Preview – Roman Reigns or Bobby Lashley? I honestly hadn’t realized how stacked this card was until I looked at all the matches. They’ve announced 11, and don’t think they couldn’t tack another one on to the pre-show. I’ve got high expectations for this one. These six are on pre-show duty. But that’s never stopped the New Day from stealing the show in the past. And you’ve got to believe the SAnitY guys are all hungry. 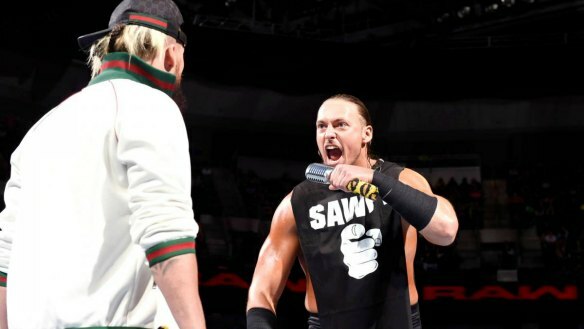 SAnitY has already taken a loss since arriving on the main roster. But they’re hardly an afterthought. Quite the opposite, in fact. 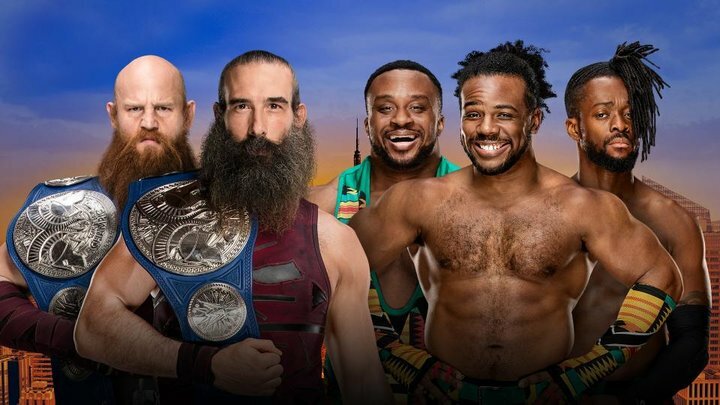 I see them scoring a big win over the New Day here. They may end up challenging for the Smackdown Tag Titles sooner than we think. I’ll give credit where credit is due: They’ve finally found a good nice for Baron Corbin. 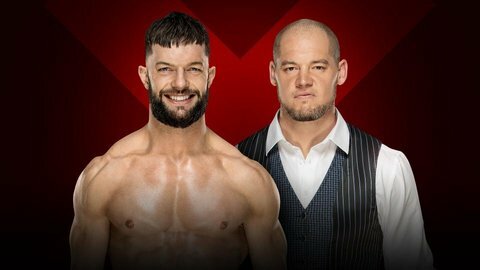 He’s perfectly cast as the smug “constable” of Raw. He even shaved that god awful skullet. Things may finally be looking up for this guy. 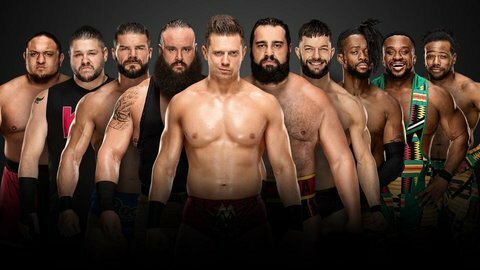 In fact, while I was initially split on who to pick here, I’m inclined to go with Corbin over Balor. He can cheat to win, and then hide behind Stephanie McMahon as he holds it over Balor. I don’t necessarily want to see this again at Summerslam, though. I’d give these two a blow-off match on Raw. So what do you do here? Do you put the belts on Dallas and Axel? I think they can. But I don’t necessarily think they should. These guys are such a great underdog team. I think it’s a better story if they save it until Summerslam. That way they can do a backstage segment before the match where they bump into Miz, who throws some shade at his former proteges. But in the end, Dallas and Axel get their big moment. A well-deserved moment, might I add. These guys obviously have talent. But between bad gimmicks, bad booking, and bad timing, not much has happened for them. I’m excited to see them get their moment in the sun. Extreme Rules, however, is probably not that night. As much of a Carmella fan as I am, and as happy as I am that she’s got James Ellsworth back at her side, she needs to drop the belt here. 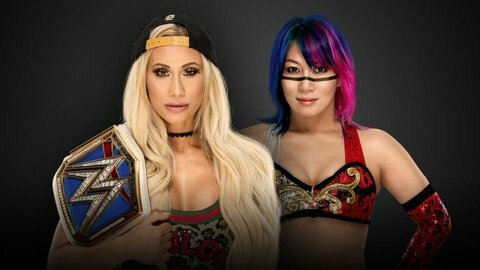 Not because she hasn’t done a fine job carrying it, but because Asuka needs to get her mojo back. The woman who went on an unprecedented undefeated streak between NXT and the main roster, including a victory in the inaugural Women’s Royal Rumble Match, now seems almost like just another name on the roster. That’s unacceptable. The loss at Money in the Bank? I can swallow that. Especially because Carmella had Ellsworth’s help. But two in a row? No. Carmella can take the belt back at some point down the road. 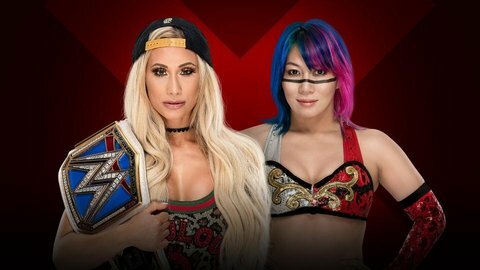 For now, I’m thinking Asuka gets the belt and then sets out to avenge her Wrestlemania loss to Charlotte Flair. The only person in WWE who needs a big win more than Asuka is Shinsuke Nakamura. Ironically, these two were the big winners at the Royal Rumble, and we thought they’d be getting career wins at Wrestlemania. Not so much, it turns out. I almost feel like they should team up and form some kind of head-kicking Japanese revenge squad. 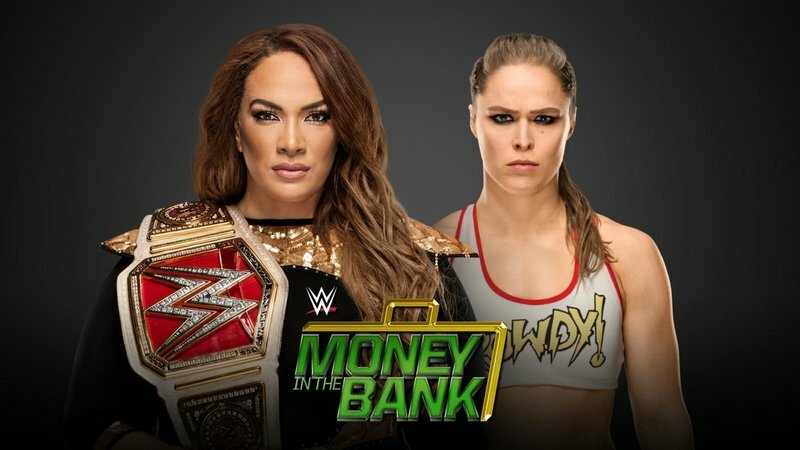 There was a lot of talk last month about who “needed” the Money in the Bank briefcases. In hindsight, obviously no one needed anything. It was all about what stories they had in mind. Case in point, what happened with Alexa Bliss. I’ll say this though, there’s absolutely no need for Jeff Hardy to have the United States Championship. He could challenge for the WWE Championship at any given time, and I assume he was only given the title as a means to get it over to Smackdown. Nakamura, on the other hand, would really benefit from having it. This is a guy who had several opportunities to take the WWE Title off AJ Styles, and couldn’t get the job done. The heel turn did wonders in terms of revitalizing him. The US Title is the next step. That’s not to say he doesn’t deserve it, though. 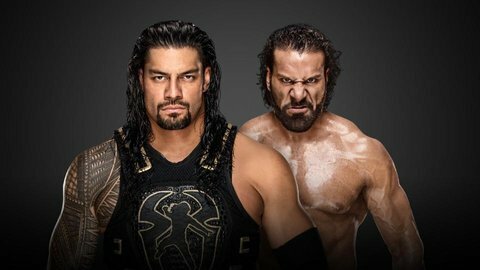 Since the big Gaunlet Match a few months back, Rollins has been like a new man. Come to think of it, Ziggler feels that way too. The change of scenery, the alliance with Drew McIntyre, and his recent string of great matches with Rollins have revitalized him in a way I didn’t think possible. The story here is that Ronda Rousey is going to be sitting at ringside. So naturally, she gets physical at some point. The only question is whether it’ll be during or after the match. I’m thinking they do something during the match, where Ronda somehow costs Nia the title. Ergo, they do Ronda vs. Alexa at Summerslam, where I presume Ronda wins the belt. Then in the fall, Nia has a legit claim for a title match. There’s been some speculation about having Alexa defend against both Rousey and Jax a Triple-Threat Match. But I think Alexa vs. Ronda is the better, simpler story. So here’s hoping they go that route. 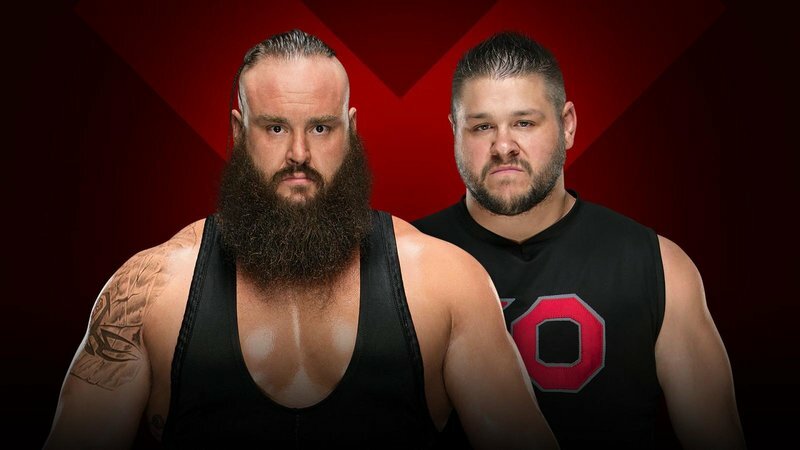 While a victory for Strowman seems like the obvious way to go, I’m going to give this one to Kevin Owens. This is one of the few matches Braun can lose without having to eat a pinfall. So have Owens escape the cage, and do the rematch at Summerslam. Mind you, I’d much rather Strowman be challenging for the Universal Title at that show. But I’m thinking that spot goes to somebody else. 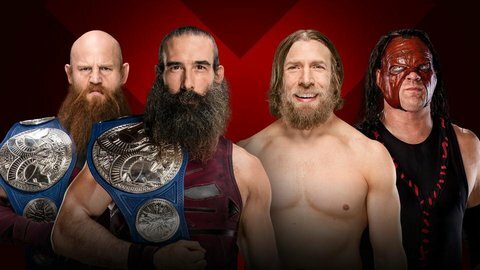 Whether or not Bryan is leaving WWE when his contract expires, I don’t really see the point in putting the tag belts back on Team Hell No. Having them back together has made for a nice nostalgia moment. But Harper and Rowan are doing just fine. Let them pin Kane to win this one, and then have Bryan move on to a big singles match at Summerslam. Let’s not kid ourselves. There’s no way AJ and Rusev get the main event spot. It’d be a hell of a nice surprise. But don’t look for it. Don’t look for Rusev to win the title, either. AJ Styles is primed for a big title match next month at Summerslam, most likely against Samoa Joe or Daniel Bryan. Considering how abysmal the Bobby Lashley/Sami Zayn was, this Lashley/Reigns stuff has been a pleasant surprise. They’ve kept it simple. Not to mention personal. This one has a big fight feel to it. 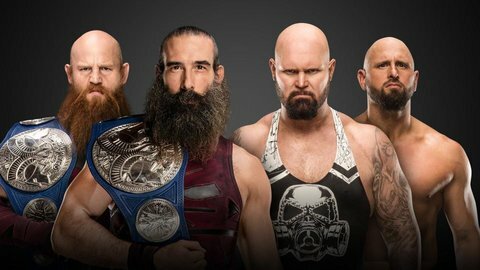 That’s something Lashley has desperately needed to be part of since his return. While it hasn’t been stated upright, the implication here is that the winner will get a title match with Brock Lesnar. Most likely at Summerslam. While we’ve heard a lot about Roman Reigns supposedly getting yet another shot at Brock, from a story perspective I don’t see how Lashley can lose this one. They’ve made such a big deal out of him since he came back. A loss here would really take the wind from his sails. 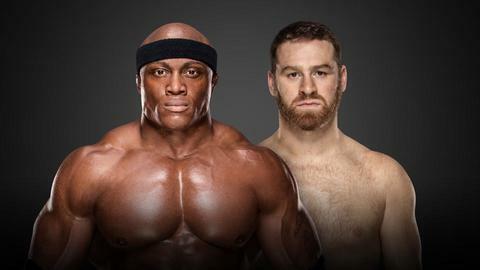 What’s more, Lesnar vs. Lashley is a match we haven’t seen before. Whereas we’ve seen Lesnar vs. Reigns twice this year. I’m in what seems to be the minority group amongst WWE fans: People who like what they’re doing with Brock Lesnar. It’s a good story. They’re using the inherent entitlement and possessiveness of wrestling fans against them, and getting more mileage out of Lesnar in the process. What happened between Brock and Daniel Cormier at UFC 226 only adds fuel to the fire. It sets the stage perfectly for a babyface to bring the title back to Raw as a conquering hero. But as much as Vince McMahon wants to shoehorn Roman Reigns into that spot, it’s just not meant to be. So why not give Lashley a shot at it? At the very least, he’s a new opponent for Brock. Best case scenario, WWE’s reinvestment in him pays off big time. This entry was posted in Wrestling and tagged AJ Styles, Alexa Bliss, Alexander Wolfe, Asuka, B-Team (WWE), Baron Corbin, Big E., Bludgeon Brothers, Bo Dallas, Bobby Lashley, Braun Strowman, Bray Wyatt, Brock Lesnar, Carmella (WWE), Curtis Axel, Daniel Bryan, Deleter of Worlds, Dolph Ziggler, Eric Young, Erick Rowan, Finn Balor, James Ellsworth, Jeff Hardy, Kane (WWE), Kevin Owens, Killian Dane, Kofi Kingston, Luke Harper, Matt Hardy, Nia Jax, pro wrestling, professional wrestling, Roman Reigns, Ronda Rousey, Ronda Rousey WWE, Rusev, Rusev Day, SAnitY, Seth Rollins, Shinsuke Nakamura, Steel Cage Match, Tables Match, Team Hell No, The New Day, Woken Matt Hardy, WWE, WWE Extreme Rules, WWE Extreme Rules 2018, WWE Summerslam, WWE Summerslam 2018, Xavier Woods on 07/11/2018 by primaryignition. Wrestling Headlines: RIP Vader, Big Cass’ Release, and More! 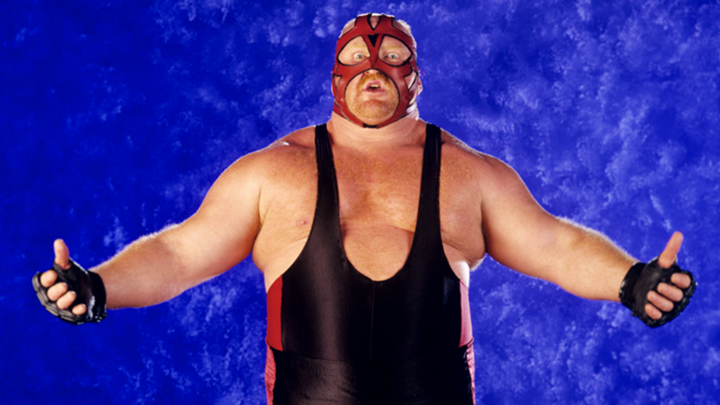 Leon White, known to fans as Vader, passes away at the age of 63. Very sad to hear of Vader’s passing this week after a battle with pneumonia. I started following wrestling on a consistent basis in the summer of 1996, when the big man was feuding with Shawn Michaels for the WWF Championship. So many of my early fandom memories involve Vader. But as many longtime fans know, the Vader we saw on WWF television was but a fraction of what Big Van Vader had been in Japan and WCW. This guy’s offense was so tough, so stiff, and so brutal, he truly earned his reputation as a monster. Watch some of the work he did with Cactus Jack in WCW. There’s also a famous match he had with Stan Hansen in Japan where his eye literally popped out of its socket. For better or worse, it was the stuff of legends. White was fairly open about his recent health issues. In late 2016, he famously tweeted that a doctor had told him he had roughly two years left to live due to congestive heart failure. Given how much press that generated, it’s frustrating that WWE didn’t opt to put him in the Hall of Fame. Still, we can take some solace in the fact that he at least got to be up on that stage to induct Stan Hansen. I can only assume he’ll be inducted posthumously at some point. Here’s to you, big man. Thanks for the memories. Supposedly it was a variety of things. Going against Vince McMahon’s direction in a segment a few weeks back, an incident on a tour bus, being intoxicated in public on a European tour. This is totally a guess on my part, but it sounds like the pressures of a singles push were getting to him. That, and maybe some maturity issues. If Cass wants to continue wrestling, I have no doubt he can find stardom somewhere else. At the very least, he can reunite with Enzo and make some money on the indies. Whether he wants to be associated with Enzo and all that drama is another story. Kurt Angle “suspends” Ronda Rousey from Raw for 30 days. Not really sure where they’re going with this. Supposedly, Ronda will still be making house show appearances. I assume that’s why they’re saying “suspended from Raw” as opposed to just suspended. Maybe they do a bunch of angles where she runs in from the crowd to try and get Alexa Bliss? 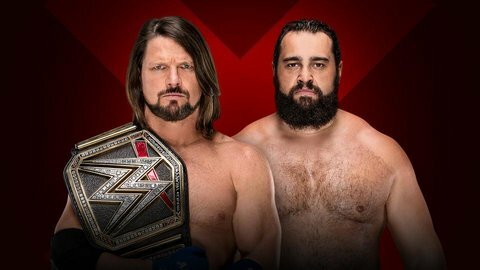 Rusev earns WWE Championship Match with AJ Styles at Extreme Rules. I can’t say I expected this. I won’t complain, though. Glad to see they’re listening to the people. Now the question is, do they buck their track record thus far, and actually let AJ Styles, their WWE Champion, main event a pay per view? The answer, of course, is no. The multi-man match to decide Brock’s next opponent will go on last at Extreme Rules. But hey, it’s fun to think about, right? This entry was posted in Wrestling and tagged AJ Styles, Big Cass, Big Cass released, Enzo & Cass, Enzo Amore, Kurt Angle, pro wrestling, professional wrestling, Ronda Rousey, Ronda Rousey WWE, Rusev, Rusev Day, Shawn Michaels, Vader (wrestler), WCW, Wrestling Headlines, WWE, WWE Extreme Rules, WWE Extreme Rules 2018, WWE Monday Night Raw, WWE Raw, WWE Smackdown, WWE Smackdown Live on 06/21/2018 by primaryignition.